I hear ya dude. 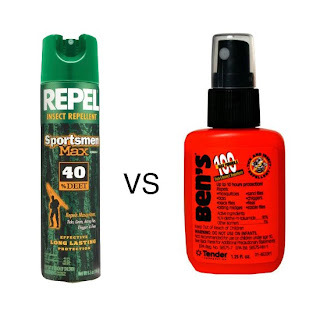 I would either use 100% DEET or nothing. I did reconsider when my Ben's 100 spilled in my backpack pocket and melted my brand-new headlamp. It glazed over the lens, and ate through the batteries. I've found that eating raw garlic is equally effective, but not as socially acceptable. I had been hoping that this might include some product testing on DEET when mixed with synthetics - many of us react with outrage when someone whips out the DEET when we've got out safety equipment exposed, and something on the etiquette and evidence around this might be useful... Perhaps even some testing of this. I've used 100%DEET in the past and had it melt various objects to the skin it's been applied to, so I tend to avoid it when using synthetics. I've also had a lot of success with citronella in the past, but there are potential risks in using this in bear country. As a naturalist, I try to avoid things like DEET. I have had decent results from a product called Naturepel. As a naturalist, do you wear nothing but cotton or wool in the backcountry? Until I find a natural replacement to gore-tex, I'll keep using what actually works. I agree with the naturalist. I don’t like to use any chemical pesticide. They are highly effective but they cause great problem for the plants. Rater I like to use natural pesticide which works slowly but effectively. Like Chris on the Road, I am curious as to the consequences when deet products & and organic solvents come into contact with climbing gear like ropes and slings. 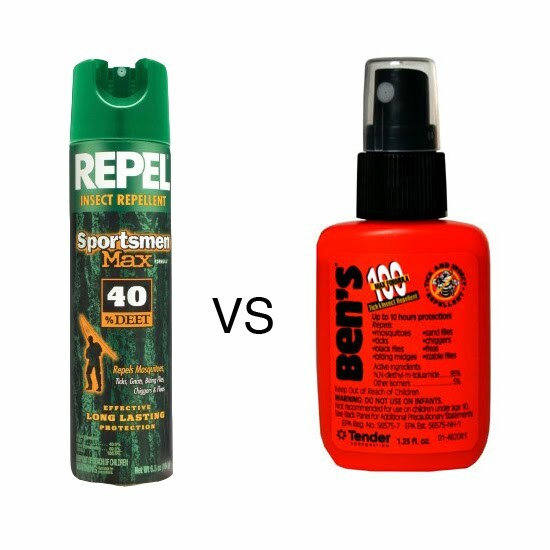 I generally ask my climbing partners not to use any deet products when we climb with my gear after seeing its effect on other plastic items- and this inevitably causes an uproar from most who are more sensitive to insects than me. I would rather be eaten by insects than have my rope break while I am rappelling! What is the official word? Has anyone dissolved a rope or quick draw? I have been hoping that this might include some product testing on DEET when mixed with synthetics.An effective Insect Repellent is very essential for complete protection from insects.